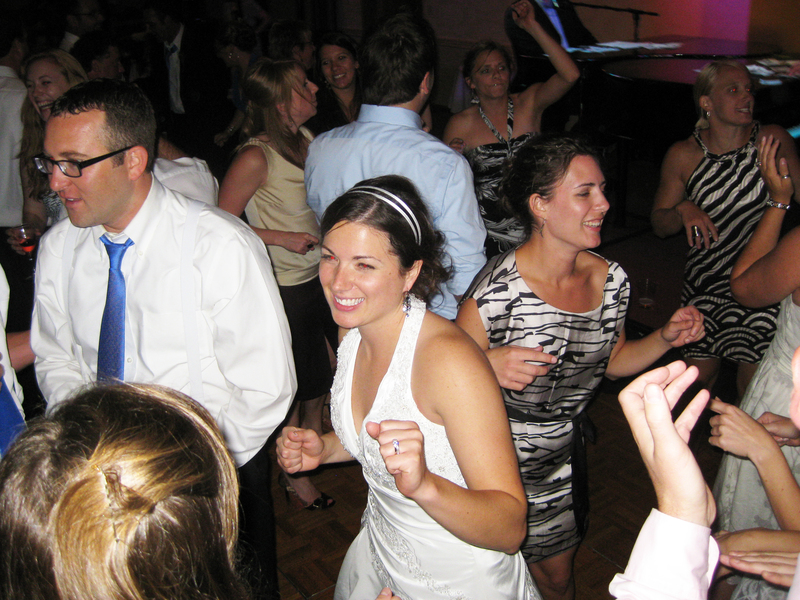 Saturday was the big Burke-Assmann wedding, which promised to be a wild affair. 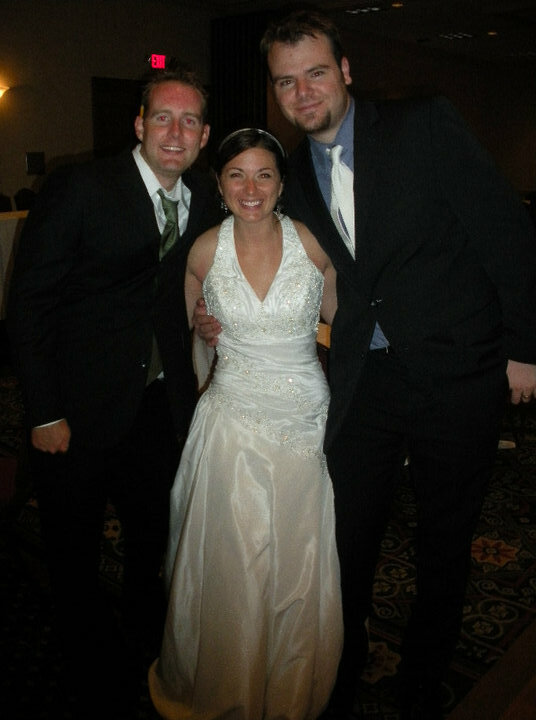 Patrick, Lauren, and I took in the ceremony in Waconia and then the reception in Bloomington. As far as Catholic wedding ceremonies go, it was one of the most casual and lighthearted I’ve been to, with the priest drawing laughs while reciting Jason Derulo lyrics in his homily. The reception was also a great time as Liz and Curt opted for dueling pianos over a DJ, and had a photo booth as their guest book. 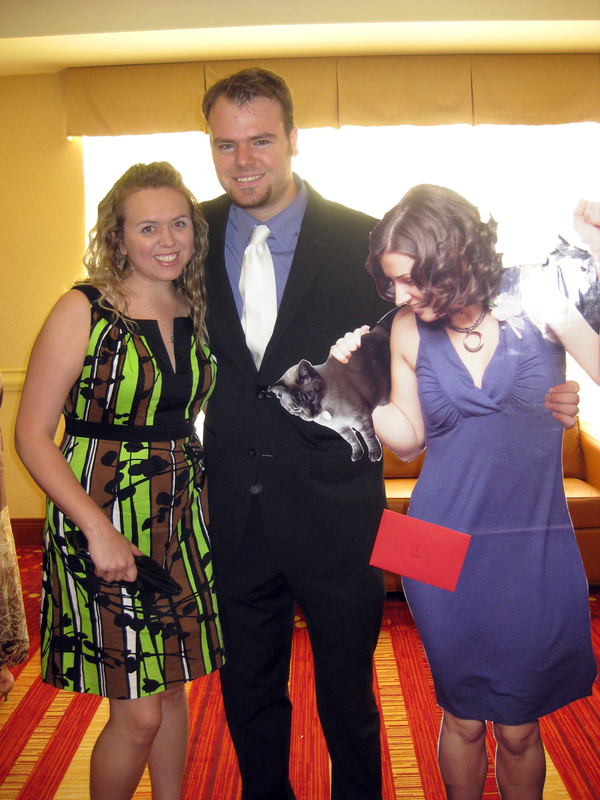 Lauren and my gift to the couple included a lifesize cardboard cutout of Liz with her cats Duane and El Gato. I carried it into the hotel lobby and was greeted by lots of admirers, but Lauren soon reminded me to not be the center of attention and put the cutout down with the other presents. Curt’s speech drew plenty of laughs as he acknowledged that he knew it was love when he found out Liz’s older sister Suzie also married a man with an rear-end-related last name, Buttry. A cousin of Curt’s revealed his Assmann tattoo on his lower back to the crowd. It was great to see a lot of friends that I hadn’t seen in a long time as well, like Jeff Gwost, the Adelmann girls, Britt Katuin, and Liz’s old Creighton roommates/friends who I figured I’d never see again, like Kristi, Alison, Diana, and Judy. And the wedding dance came to a very fitting close when everyone formed a circle and the men dropped their pants, or “dropped trou” as the saying goes. Lauren, Patrick, and I kept the party rolling afterwards at Pizza Luce in Uptown with Brian Gioielli and friends. Congrats to the newlyweds! Thanks for a great time! Lauren and I posing with the Liz cardboard cutout I made. No, I'm not inappropriately touching the real Liz! Liz and Curt break a move on the dance floor. 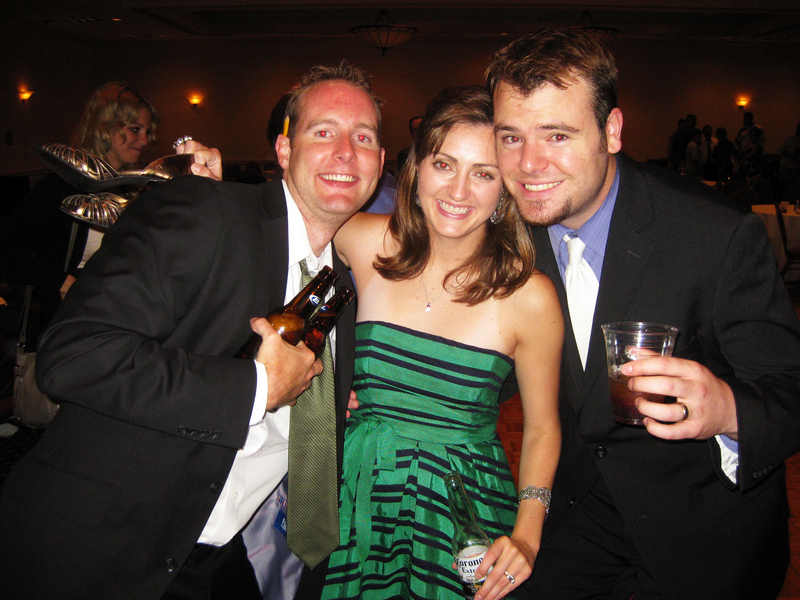 Patrick and I reunited with Liz's college roommate Alison. Reuniting with Liz's Creighton friends, including Diana, Kristi, and Judy. That was far from the end of my weekend o’ fun, however, as Nick and I made the 90-mile drive east to Eau Claire, Wisconsin on Sunday to visit Dr. Chris Ahrendt and his wife Carol and daughter Michelle at their new home. 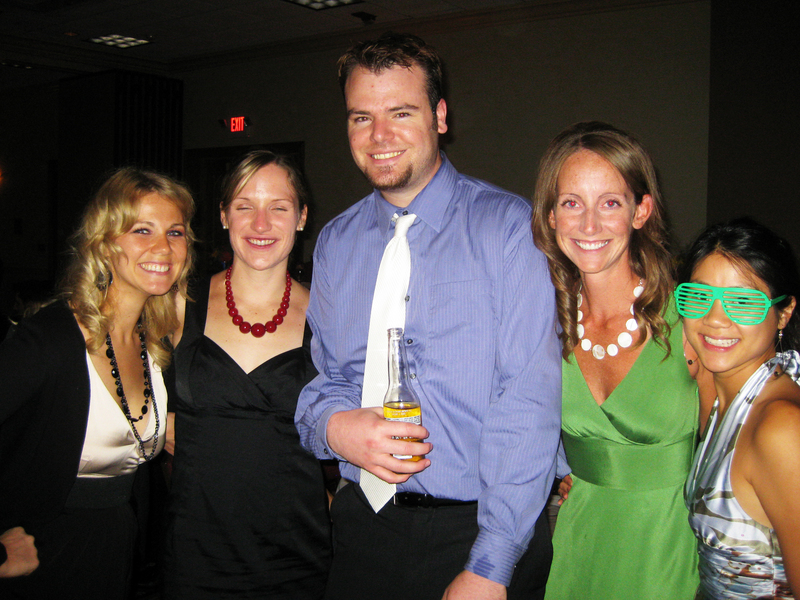 It had been since our wedding that I’d seen the Ahrendts, and much has happened since then, with the birth of their daughter, purchase of their home, and Chris getting a job at U of Wisconsin Eau Claire. Carol made a delicious lunch and then we sat around chatting for much of the afternoon. 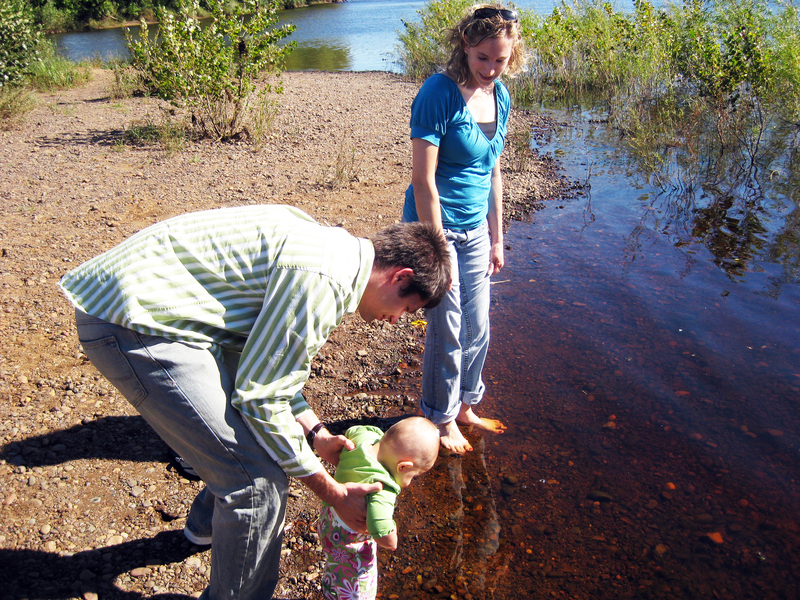 Later on we took in a couple scenic Eau Claire parks while pushing Michelle in the stroller, and then returned to the Ahrendts’ for a board game. We ended the day with dinner at a Mexican restaurant before hitting the road. It was certainly great to see the Ahrendts again and there was much to catch up on. Hopefully we’ll be able to see each other more often in the coming years. Lauren was sad not to be able to make the trip with us, but she was quite ill after catching my cold this weekend. Chris, Carol, and Michelle Ahrendt at the lake. Previous Sick, Teeth, Twins, Etc. If it hadn’t been for the cats, I’d have never known that was a cutout…it looked just like the real Liz standing there. Tell Lauren I like her hair and dress…very cute!